The future of Europe has been the talk of the town recently. In the beginning of May, the European Commission presented its proposal for the next EU budget after 2020. We, as the EPP Group in the Committee of the Regions, will continue defending our vision for the new multiannual financial framework, which should see more results orientation and greater European added value. We must also ensure an adequate level of financing of current policies and making sure we have enough flexibility to finance new priorities. However, we must not forget that the future of Europe is about more than just budgets; it is about citizens. The CoR’s Enlargement Days and the EU’s Green Week are just two good reminders of the strong EU values that we stand by and defend on the ground. As representatives of cities and regions, our EPP CoR members are actively involved in bringing Europe closer to citizens. I therefore encourage you to organise an EPP Local Dialogue in your own region or city so we can share the voice of local communities with the wider EPP family and our Spitzenkandidat in the coming months. We can be proud of our work in the Cohesion Alliance, which calls for a strong continued funding for EU cohesion policy for all regions. The fruits of our labour were recognised by ministers in the General Affairs Council in April, thanks to strong cooperation with the Bulgarian Presidency and Günther Oettinger, Commissioner for Budget & Human Resources, who will join us to present his vision in the Plenary Session. Heinz Lehmann hosted an ECON seminar in Dresden on 2-3 May with the aim of defining the role of regions in shaping a holistic industrial strategy for the EU, particularly with regard to innovation, digitalisation and global competition. Through a smart, sustainable and inclusive industrial policy, innovative ecosystems are to be promoted in the regions, entrepreneurship encouraged, and jobs created, his CoR opinion underlined. The example of Saxony was used to demonstrate the progress made towards “Industry 4.0” in the fields of microelectronics, e-mobility, material efficiency/resource technologies and advanced manufacturing. As part of the CoR’s “Reflecting on Europe” initiative, he also hosted two citizens’ dialogues with young people in his region of Saxony. Michael Murphy and Sören Herbst were also involved. practices are based on a bottom-up approach towards new, city driven solutions with motivated citizens and committed industries” One week later, on 24 April, he hosted an event entitled “Helsinki Region Carbon Neutral 2035” on the Talanoa Dialogue process in Espoo. He was joined for a citizen’s dialogue by Dimitrios Kalogeropoulos and Nikos Chiotakis, CoR Covenant of Mayors Ambassadors. on 10 April. “Involving cities and regions better in European decision making is the key to making future EU legislation more citizen-friendly, effective and efficient” he added. Michael Murphy, Olgierd Geblewicz and Apostolos Tzitzikostas also took part in this conference. President Schneider also addressed participants at an event on the Mid-Income Regions on April 18th at the EU Committee of the Regions. “Protection of habitats and species in Europe” on 19 April in Hargita County, alongside József Ribányi. He also joined a Structured Dialogue on the use of digital tools to foster youth engagement in policy-making at the CoR on 24 April. ALDA - the European Association for Local Democracy, together with 6 other associations from across Europe, implemented the European Union funded project YouthMetre - a tool for forward looking youth participation, which was also presented at the EPP Winter University in 2016. The future of Europe: what role for regions? At the invitation of Franc Bogovič, MEP, a delegation from the European Parliament’s Regional Development Committee paid a three-day visit to Slovenia. On Thursday 5 April 2018, in the Knights’ Hall in Slovenska Bistrica Castle, the Slovenian delegation to the Committee of the Regions, led by Ivan Žagar, PhD, Chair of the Development Council for the Cohesion Region of Eastern Slovenia, together with MEP Franc Bogovič and the European Parliament Information Office in Slovenia, held a discussion with Members of the European Parliament, representatives of the Government, Cohesion Regions and local communities on the “Challenges of the Cohesion Policy in the New Financial Perspective” with the aim of defining the future direction of the European Cohesion Policy and its effects on the next Financial Perspective. Lambert van Nistelrooij and Franc Bogovič joined Andrej Engelman, Deputy Director of the Slovenian Government Office for Development and European Cohesion Policy, Lilijana Madjar, MSc, Chair of the Development Council for the Cohesion Region of Western Slovenia for the discussion, which attracted wide public attention. It was attended by more than a hundred people, including numerous mayors from Slovenia’s municipalities. and Valorisation of Agricultural Buildings •	Michel Lebrun on Cities needs in transition to a Circular Economy •	Mark Weinmeister on Sustainable urban water planning Last but not least, if Europe is to continue to be a global climate champion, local and regional leaders need the right funding. Cohesion policy funds local climate and energy action plans, invests in energy efficiency, renewable energy and sustainable public transport in our regions and cities. This is another reason why the EPP-CoR is calling for EU cohesion policy – which currently commits more than 25% of its budget to climate action – which remains strong and effective. Engaging with citizens at the local and regional level is crucial to restore trust in the European project, as shown by the successful launch event of the EPP Grassroots Engagement in Sofia in March. Unfortunately, in Poland, there is a growing trend of centralisation of power in the hands of the national government. This common event of the EPP-CoR Group and the EPP Polish Member Parties, alongside the EPP Political Assembly in Warsaw, is an excellent occasion to underline our commitment to delivering a secure and prosperous Europe by showcasing the added value of EU membership for citizens living in Poland’s regions and cities. Rafał Trzaskowski, Member of the Polish Parliament (Civic Platform) and Vice-President of the EPP. 2.	to stress the importance of taking decisions close to the people and rebuild their trust in democratic values Taking place on Tuesday, 5 June in the Palace of Culture and Science, in Warsaw, Poland, the event will bring together speakers from the local, national and European levels of the EPP family. Approximately 300 local and regional, polish guests are expected including Mayors, Presidents, Marshals and Councillors. With local and regional elections scheduled for the end of October/beginning of November 2018, this event aims to give strong EU-wide support to the Civic Platform and the Polish People’s Party, the two EPP member parties. in the Messukeskus Helsinki Expo and Convention Centre, in cooperation with Kokoomus. Topics for discussion include delivering local solutions to climate change and how going digital can provide innovative services for citizens. Following the launch of the EPP Grassroots Engagement in view of the 2019 European Elections on 9 March in Sofia, the EPP-CoR has been working continuously with its partners for the next steps on the road to Helsinki. CALL FOR EPP LOCAL DIALOGUES Europe Starts in YOUR Village/City/Region The EPP Group in the CoR has launched a grassroots engagement to better listen, restore trust in the EU’s political representatives and increase ownership of the EU on the ground. 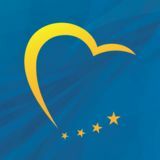 Under the motto “Europe starts in your village/city/region”, the EPP wants to go into Europe’s cities and regions to pass a message of unity in diversity. EPP local dialogues across all the EU Member States should bring together politicians from the local/regional, national and European level for an honest and open debate with on the opportunities that EU membership provides. For support to organise an #EPPLocalDialogue in your region or city, please contact the EPP-CoR secretariat. ment on the review of the EU Civil Protection Mechanism and Lambertz van Nistelrooij (NL/EPP), Member of the REGI committee of the European Parliament and Rapporteur on 7th Cohesion report, will speak about strengthening innovation in Europe’s Regions. The cohesion alliance as a grassroots initiative in support of cohesion policy was also welcomed on this occasion. concern that “many schools do not yet have access to high-speed connectivity and digital equipment”. Investment in language and entrepreneurship education as well as media literacy should also be priorities for Europe. the quality of drinking water, the rapporteur calls for enhanced cooperation between local and regional authorities in the Member States and water supply companies in order to better recognise and prevent dangers linked to the use of drinking-water resources. reliant on the import of natural gas and that this is combined with the prospect of increased domestic demand in spite of a decrease in EU gas production. The opinion therefore underlines that it is the EU’s responsibility to address energy supply problems stemming from infrastructural initiatives that strengthen dominant positions in the natural gas market or which reduce the diversification of the third-country energy sources. Moreover, it is essential for the EU to safeguard its own imports in general, although it must aim to avoid situations of excessive dependence, abuse by suppliers and risk for local communities. The rapporteur calls on the EU to protect citizens against any risk to the security of supply and to ensure compliance with the EU’s existing legal framework so that business activities can continue to provide jobs locally. 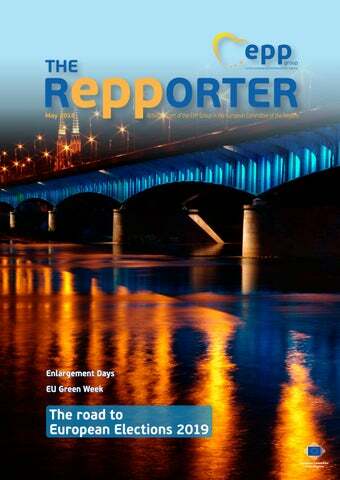 The opinion also emphasises the efforts that the CoR – in performing its role in this area – intends to make to find EU solutions to the problems faced in local and regional communities, including the environmental impact from undersea pipelines. es and support training and generational renewal, to enable maritime industries to diversify, to contribute to the conservation of marine resources and help improve environmental sustainability, to promote the competitiveness of the processing and marketing industry and to establish synergies with other European funds (EAFRD, ERDF and ESF). At the same time, the opinion points out that the new EMFF should be based on concepts such as administrative simplification and flexibility, the ability to adapt to the objectives and targets of the Common Fisheries Policy and opening up financial support to include all maritime and fisheries sectors, irrespective of their size or turnover. Finally, the opinion calls for the post-2020 EMFF to include and strengthen the territorial dimension of policies, to help European coastal communities build a marine economy, and support job and wealth creation relating to the sea. I am looking forward to welcoming the CoR’s Conference of Presidents in Dublin to discuss Brexit and its consequences for Ireland with the EU affairs committee of the Oireachtas and then go to Northern Ireland. As highlighted by the ECON study, Ireland will be the country most impacted by Brexit. This is why it is so important to come to Ireland, discuss with members of national parliament and see for themselves the reality of the border. was to create a European institution that would pool and manage coal and steel production. A treaty creating such a body was signed just under a year later. Schuman’s proposal is considered to be the beginning of what is now the European Union. To celebrate Europe Day, the European institutions in Brussels opened their doors to the public for the annual Open Day on 5 May 2018 from 10.00 to 18.00. On this occasion, the European Committee of the Regions will celebrate Europe’s diversity and culture with a festival of regions and cities. Many citizens joined celebration and experienced Europe’s diversity, and got an insight into the European Assembly of regional and local representatives! The pooling of coal and steel production... will change the destinies of those regions which have long been devoted to the manufacture of munitions of war, of which they have been the most constant victims.